Do you live alone? Do you work often? Hard to get the kids out to shovel the snow? Or maybe you don’t want to put extra stress on your body during cold and snowy winter months by doing the labor of snow removal yourself. Whatever the reason, now is the right time to let Ogden Snow Removal snow blow and shovel your walkways, stairs, driveways, private roads and surrounding pavement. We are committed to cleaning up the regions you frequently walk on so that you aren’t exposed to slipping and falling or getting stuck in the snow. 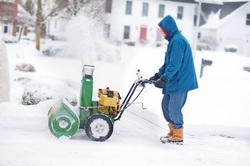 Snow blowers (also known as snow throwers) are useful due to their lightweight and motorized ease. They cut down time and energy over the more manual process of shoveling. If you are fit and in good health, shoveling should be no problem for you. However, for those with a history of heart conditions, back problems or those out of shape, shoveling your own yard is a major health risk and has landed thousands of people in the hospital or dead! Shoveling has its advantages over snow blowing because you can’t drive a snow blower up the stairs! When considering snow blowing, you might be thinking about buying one yourself. Shovels are inexpensive of course, but snow blowers retail at $100 to $1,200. Gas snow blowers will need fill-ups and electric throwers will use up electricity. Both electric and gas snow blowers, just like any motorized vehicle, will need service repairs or replacements every year or so. Operation of the snow blower, in and of itself, may be a tricky procedure. We make the process of snow blowing and shoveling easy for us and affordable for you! Snow blow machine professionals at Ogden Snow Removal take special care in making sure we don’t blow snow onto certain landscaped areas where snow shouldn’t exist. Our snow blowing technique entails blowing snow with the wind and not against it, blowing snow in patterns as not to over pile, and finally cleaning and “edging up” areas with a shovel. Even when we shovel, we use ergonomically correct shovels that reduce back problems, we dress properly so that we can work swiftly without freezing, and we brush snow from cars, mailboxes, bushes etc. and salt upon completion. 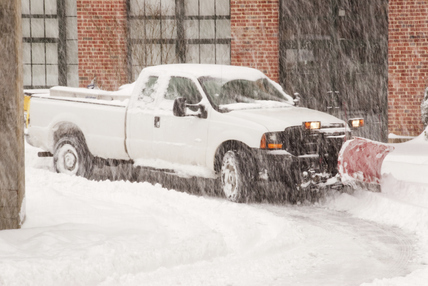 From heavy snow to light patches, we can clear the snow for you, saving you time, money and your health.